1.4.4 英語放送 スクリプト編: 東京圏私鉄 (小田急・京王・相鉄・京急) - dutcheez’s Fun with English! Welcome aboard the limited express Romance Car Super はこね number 13 to はこねゆもと。We will stop briefly at おだわら before reaching はこねゆもと terminal. Please do not smoke in this train. Restrooms are in cars 3 and 8. Please use your mobile phones in the deck between the cars. The next stop is おだわら. We will soon arrive at おだわら. The stop after おだわら will be the はこねゆもと terminal. Please transfer at this station for the Shinkansen, the Tokaido line, and the Daiyuzan line. The doors will open on the right. Thank you for taking the limited express Romance Car Super はこね number 13. Thank you for taking Odakyu line. 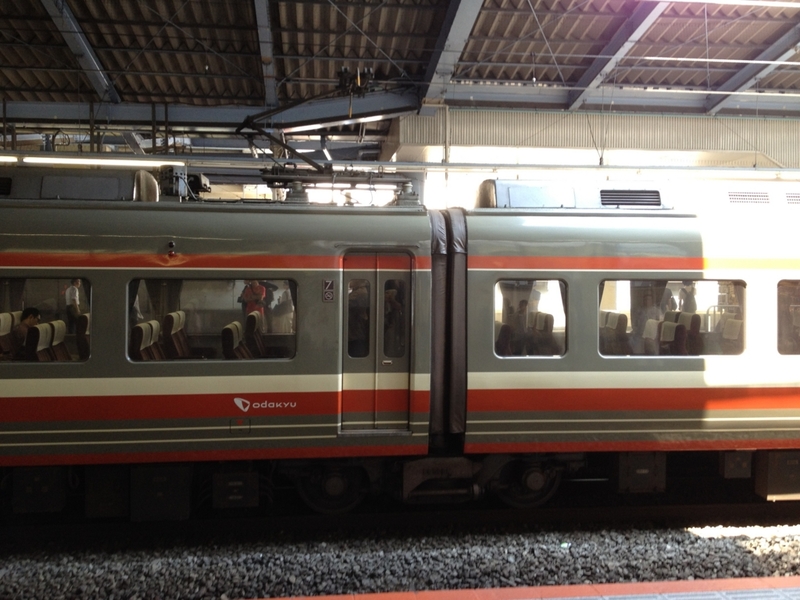 This is the local train bound for ほんあつぎ. Please transfer for Chiyoda line. Please transfer for Yokohama line. Please transfer for かたせえのしま direction. Thank you for using the Keio Line. This is the Semi Special Express train bound for けいおうはちおうじ. We will stop at めいだいまえ, ちょうふ, ふちゅう, ぶばいがわら, せいせきさくらがおか, たかはたふどう, and きたの. The next stop is めいだいまえ. Please change trains here for the Inokashira Line. The doors on the left side will open. After めいだいまえ, we will stop at ちょうふ. Thank you for using Sotetsu Line. The next stop is やまと. Please transfer for the Local and the Odakyu Enoshima Line. We will soon arrive at Yokohama. Passengers changing to the JR line, the Tokyu line, the Sotetsu line, and the Yokohama Municipal Subway line, and the Minatomirai line, please transfer at this station. There are priority seats reserved for elderly passengers, passengers with physical disabilities, pregnant passengers, and passengers with infants or toddlers. Please, offer your seat. babies, newborn, small children, kids との比較は?